RUPERT – Gary Leroy Jones, a 74-year-old resident of Rupert, peacefully succumbed to his 18-month battle with cancer on Friday, Jan. 25, 2019. Gary was born Dec. 31, 1944, in Burley, Idaho, to Lorna Draper Jones and Junior Arthur Jones and spent his childhood in the Almo, Burley, and Malta areas. As a young boy, Gary lost his father in 1956; he then became a father figure to his younger siblings. He attended schools in Burley, Malta, and Ledor, and later on graduated from ISU. Gary started a hay-hauling business, which he did for several years. In 1977, he went to ISU to become a diesel mechanic and then moved to Casper, Wyoming, to work for CAT (Caterpillar Inc.). He worked for CAT for six years and then moved back to Burley to work for Don Ovitt Chevrolet. Later, he became the mechanic for Winner’s Circle and eventually took over the business. While operating Winner’s Circle, he bought a semi and branched out into the trucking business. At the time of his death, he had accumulated ten trucks and 25 trailers. Gary worked hard, but he loved to play hard as well. He enjoyed racing in the Rupert stock car races. He teamed up with Ron Funk and bought a horse and became involved in chariot racing. He liked old cars, fishing, football (Go Raiders! ), and went to every auction he could. He enjoyed being busy and never sat still for very long. He spent hours on his farm and ranch and taking care of his cattle. On Feb. 8, 1962, Gary married Maxine Hovey, and they had two daughters, Sheila and Shannon. They were later divorced. On May 8, 1971, Gary married the love of his life, Roberta Lee Giles, and became a dad to her boys, Shane and Craig. In 1973, they were joined by their son, Gary Junior Jones. On Nov. 19, 2018, Roberta’s prayers were answered and Gary was baptized by Pastor Rick Zimmerman at New Beginnings. He enjoyed going to church and the fellowship he found there. He is survived by his wife, Roberta; and children, Shane (Cindy) Gill of Wyola, Montana, Sheila (Glenn) Lewis of Jerome, Idaho, Craig (Jackie) Gill of Richfield, Idaho, and Gary Junior (Danelle) Jones of Albion, Idaho; his siblings, Dean (Michelle) Jones, Randy Jones, Debbie (Wendell) Jessop, Bill Brower, and Sharon (Scott) Mecham; 16 grandchildren; 12 great-great-grandchildren; and numerous nieces and nephews. He was preceded in death by his grandparents, John and Elizabeth Prestridge and Henry Leroy and Etta Jones; his parents, Junior Arthur Jones and Lorna Brower; his daughters, Cynthia Gill and Shannon Jones; and two grandchildren, Kristi Lewis and Skylar Gill. The family would like to thank Kathryn, Barbara, and Dan from Harrison’s Hope for the love and comfort that Gary received. Special thanks to Dr. Walter Graham for his care as well. 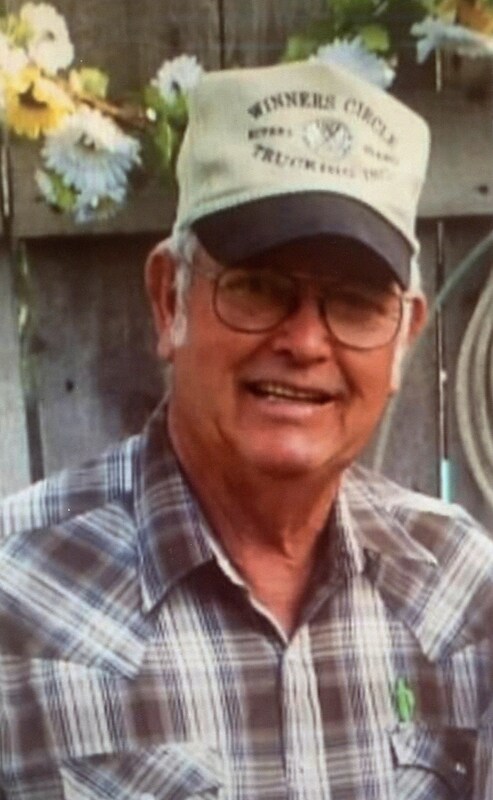 The funeral will be held at 11 a.m. Friday, Feb. 1, at Rasmussen-Wilson Funeral Home, 1350 E. 16th St., in Burley. Burial will follow at the Rupert Cemetery. Friends may call at the funeral home from 6 until 8 p.m. Thursday, Jan. 31, and one hour prior to the funeral service on Friday.